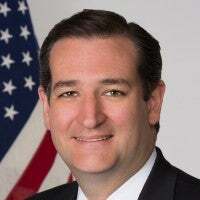 Ted Cruz is a U.S. senator from Texas. 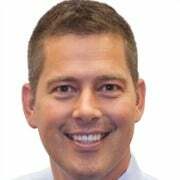 Rep. Sean Duffy, a Republican, represents Wisconsin's Seventh District. The incredible ingenuity of the American people invented the internet—one of the most transformational technologies in human history. But even though we created and paid for the internet, we did not keep it for ourselves; we shared it for the benefit of all humanity. That spirit of freedom and generosity is the very essence of our great nation. Since the internet’s inception, the United States government has played a critical role in supervising the core internet functions that allow websites to interface with the internet. If any other country had created the internet, this power could have been used to deny internet access to websites that were deemed politically undesirable, unpopular, threatening, or disfavored by the ruling elite. But not here in the United States. The internet is an oasis of freedom today because of our First Amendment, which is unparalleled in the protection it affords free speech. So long as the U.S. government is involved in internet governance, it cannot deny any website internet access on account of the ideas it espouses. That could soon change. In nine days, without seeking the approval of Congress, the Obama administration intends to hand over the government’s historic oversight role to the International Corporation for Assigned Names and Numbers (ICANN). What is ICANN? It is not a democratic body. It is an international conglomerate of global corporations and foreign countries, including oppressive regimes such as China, Russia, and Iran. The internet is an oasis of freedom today because of our First Amendment, which is unparalleled in the protection it affords free speech. As a private organization, ICANN is not bound by the First Amendment, which ICANN’s CEO and President Göran Marby admitted in a recent Senate hearing. The First Amendment applies only to the government. So if the government is out of the picture, the First Amendment is too. And that means that ICANN would be free to regulate internet speech by restricting which websites can gain access to the internet based on their speech. While proponents of the handover dismiss this possibility, it is not farfetched. It’s important to remember that the devil is always in the details, and what the administration attempts to spin as a “clerical” function can easily be used to bludgeon free speech. As the body responsible for delegating all top-level domains like .com or .org to registry operators, ICANN has unique leverage and influence over the policies that govern the entire internet ecosystem. Under ICANN’s post-handover bylaws, foreign governments and global corporations will have an increased voice within ICANN moving forward. Instead of only being able to set and enforce censorship policies at the edge of the internet, foreign governments and global corporations will be able to wield significant influence at the internet’s core, although now without the oversight of the United States that has guaranteed the free and open internet we enjoy today. So, for example, ICANN could amend its agreements with registry operators if it deems that doing so is in the public interest. Allowing ICANN to determine what is in the public interest by implementing broad consensus policies is a dangerous slippery slope that could create a path toward dictating what constitutes “accepted speech” on the global internet. Of course, ICANN would never get away with any such thing now because it is under contract with the U.S. government. If ICANN and its “stakeholders” ever attempted to censor the registries in violation of the First Amendment, the government could simply take the contract away. But that won’t be the case once ICANN is out from under United States supervision. ICANN will be free to impose whatever restrictions it wants, and the United States will be powerless to stop it. In a world that does not share our robust commitment to free speech, that possibility is frightening. Imagine an internet where so-called “hate speech”—a notoriously malleable concept—is prohibited, like in many European countries, or where blasphemy is banned, like in many Middle Eastern countries, or where political criticism is penalized, like in China. That’s the future we could face if Congress does not act to stop President Barack Obama’s reckless abandonment of U.S. oversight. So why is Obama willing to jeopardize internet freedom? The administration believes that continued U.S. supervision of the domain name system will prompt China, Russia, Iran, and other countries that have been clamoring for more influence in internet governance to fracture the internet by setting up their own networks, perhaps under United Nations control. At the same time, however, the administration tells us that the planned transition to ICANN will involve no increase in foreign government influence over the internet. But if that’s true, then why would China, Russia, and Iran or any other foreign government be satisfied with the transition? They won’t. And that’s the problem. They will never relent in their pursuit to control the global internet infrastructure. Imagine an internet where so-called “hate speech”—a notoriously malleable concept—is prohibited, like in many European countries, or where blasphemy is banned, like in many Middle Eastern countries, or where political criticism is penalized, like in China. 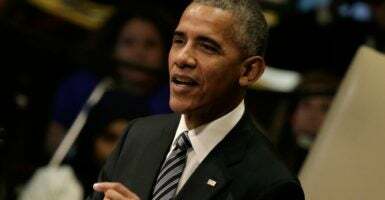 By ending U.S. oversight, the Obama administration will disempower the American people and empower China, Russia, and Iran, putting those regimes one step closer to their goal. Assistant Commerce Secretary Lawrence E. Strickling effectively admitted as much at a recent hearing when he confirmed that the United States would be on the very same footing as China, Russia, and Iran after the handover is complete. With the United States reduced to a single vote within ICANN, these regimes will be able to wield more influence than they’ve ever had before. And that should concern all Americans. For example, ICANN officials have already begun showing an extraordinary affinity for China, the world’s leading abuser of the internet, according to Freedom House in 2015. ICANN gatherings have even featured Chinese officials responsible for government censorship and Communist Party propaganda. And don’t be fooled into believing that the multinational corporations within ICANN’s governing structure will stand up for free speech in the face of Chinese threats. That would be dangerously naïve. Companies that are seeking to expand their businesses globally can hardly be trusted to put free speech ahead of their bottom lines. It wasn’t that long ago, after all, that Human Rights Watch found American companies, like Yahoo, Microsoft, Google, and Skype, to have been complicit in Chinese censorship. In the end, relinquishing U.S. oversight will only empower countries and international corporations that do not share the United States’ commitment to freedom and are not bound by the First Amendment. A decision as momentous and important as the decision whether to terminate United States oversight of the internet and hand it over to an international body should not occur without the affirmative approval of Congress. And it certainly shouldn’t be undertaken until all concerns have been adequately addressed. Once Obama gives away American guardianship of the internet, we won’t be able to get it back. Congress must act now to prevent that from happening.